Storage space for a chemical toilet. Twin axle galvanised launching trailer. If you're looking for a Cuddy cabin boat with plenty of space for everybody, plenty of performance for watersports together with plenty of value for money then look no further! 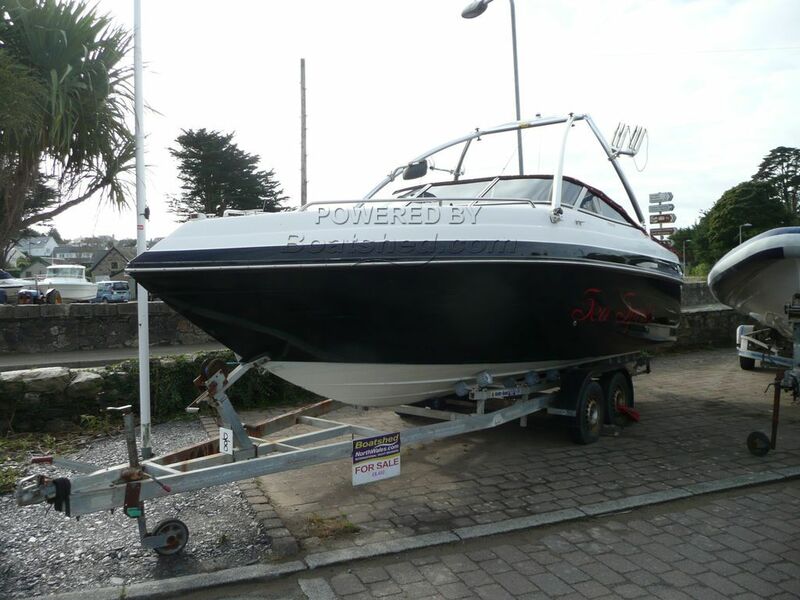 This Sea Sprite 2152 CC looks to be in nice, clean condition and to have been well maintained. She has just had a new cockpit cover and the launching trailer is included in the package! This Sea Sprite 2152 CC has been personally photographed and viewed by Chris Tindall of Boatshed North Wales. Click here for contact details.